Please visit the "Leagues" tab above to get more information on each individual Kentucky league. Each league runs its own independent season dates. * The tournament will be held on April 27 and 28, 2019. 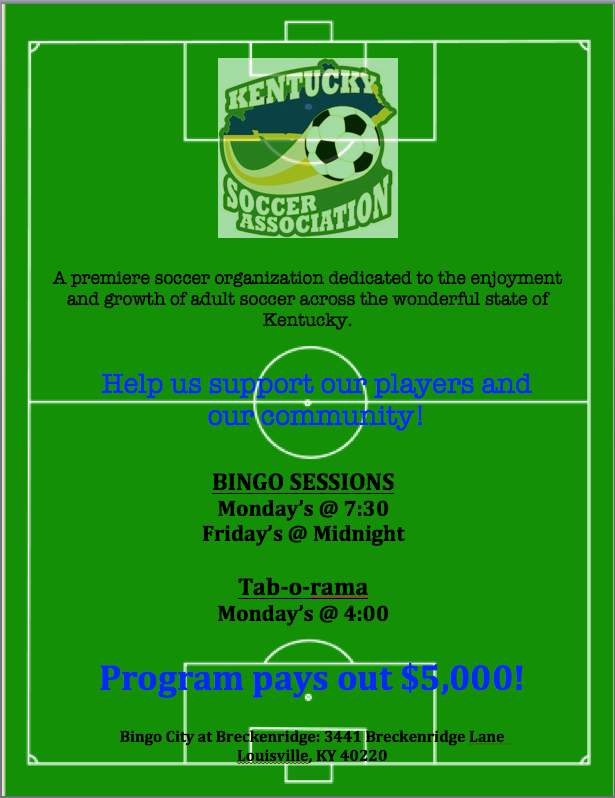 Please join Greater Louisville and participate in this years 39th Annual 6v6 tournament on the weekend of APRIL 27th and APRIL 28th. ©2019 Kentucky Soccer Association / SportsEngine. All Rights Reserved.